Napoleon was strongly of the belief that an army marches on its stomach – and while nutrition is important in a war – it is just as important onboard ships. 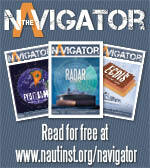 For seafarers, the issue of food is incredible significant. It is not just about getting the right fuel into bodies, food is hugely important on a psychological level. The monotony of life onboard ship can be lifted by good food, especially in good company. Having meals which seafarers look forward to can really lift the mood – and it is important that feeding rates and the rationale behind the spend encompasses the role that food plays…or can play onboard. 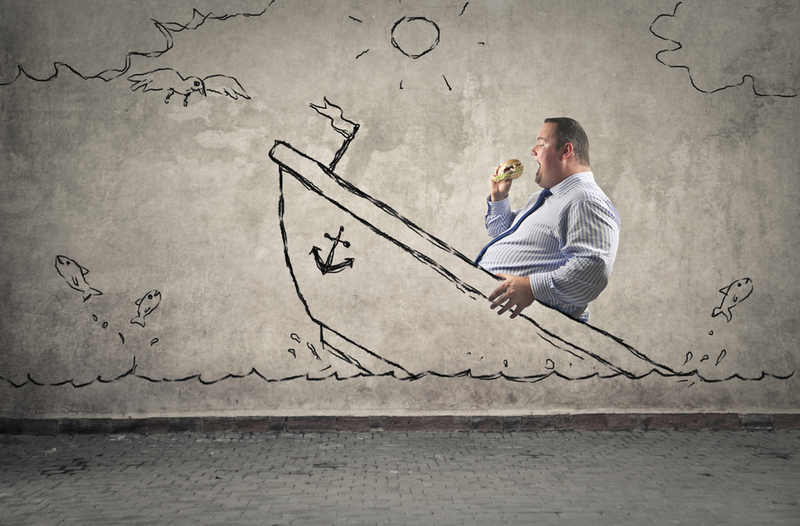 With seafaring becoming an increasingly sedentary pursuit – it is also vitally important that crews do not become over fed on junk food and soft drinks. There is a requirement and indeed a need to provide good nutrition, and to understand the impact on health and wellbeing. Seafarers need managers and owners to acknowledge the risks of poor diets and limited exercise. Obesity is a danger to those at sea – and it is literally a growing problem. There are health issues, obviously – but safety too. As seafarers get heavier, can they be lifted easily if they fall? Can they get into lifejackets, or into lifeboats even? As waistbands expand, it is vital that the full effects and impacts of nutrition are discussed and addressed. The issue has become so serious in the offshore sector that weight limits have had to be changed for oil workers in helicopters. This came after a study showed the average oil worker had risen in weight by close to 20% over the past 30 years. Various studies have analysed the rising tide of obesity among seafarers too – just as ashore obesity is one of the big harsh realities which needs urgent action. All seafarers need to have a statutory medical examination to prove they are in good enough health and fitness to carry out their duties. Some of the most important conditions affecting fitness, are heart attacks, artery disease and diabetes – conditions that can be directly linked to obesity. But even more obvious is the fact that seafarers need to be able to stand, walk and to lift things. The medical seeks to determine whether people are fit to do the job, and being overweight does call this into question. The Body Mass Index (BMI) is the most commonly accepted measure of general obesity, and is one of the tests included in seafarer medical examinations. Adults are classed as overweight if their BMI is between 25 and 30, obese if their BMI is 30 to 40 and morbidly obese if their BMI is 40 or more. For seafarers with a BMI over 35, doctors have to restrict the certification given – and require that action is taken to reduce down to a target weight. A recent study of Danish seafarers showed an excess of life style related diseases where obesity may be a factor. The study comprised 1257 male seafarers and found there were statistically significant more overweight seafarers in all age groups compared to a reference group ashore. Among those between 45 and 66 years of age 0.7% had a weight below normal, 22.7% had normal weight and 76.6% had a weight above normal, while 30.9% of this age group was obese. Over three quarters of seafarers were overweight – that is a massive problem – literally and figuratively. It is not just European seafarers, this is affecting Filipinos too. According to Simon Doughty. Chief Executive Officer of Wallem Ship Management obesity is definitely growing among Filipino seafarers. The company’s own data suggest that 10% of all Filipino seafarers are either obese or border line before joining and it has become common to require weight loss before accepting a seafarer is fit for sea. Dietary over indulgence onboard is a major factor. Indeed, whereas the average male needs 2,200 calories daily, research by Wallem has found that the average onboard calorie intake is nearer to 3,200. There is even some anecdotal evidence that seafarers are routinely consuming up to around 4000 calories per day! That is a lot of fat to burn – and it is proving very hard to shift as physical activities onboard are on the wane. Studies indicate that Filipinos spend 60% of their free time on video games or the web. While data indicates that crews are “grazing” – with studies showing that the modern Filipino often eats and snacks nine times a day. Perhaps as a direct result of boredom or isolation, crews are snacking…and that is ultimately leading to a boom of obesity. 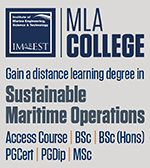 As such there has to be a focus on eating less – but also education to ensure that seafarer can and do eat better. Anglo-Eastern Univan, has been leading the way – and the company has even made recipe books for healthier options for Indian, Filipino and East European diets. The recipes give the calorie content of the dishes usually prepared by the cooks. 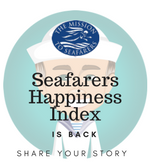 The big problem that seafarers stated in the Happiness Index was the fact that they have so little influence on what is served. So they feel beholden to simply eat whatever is put before them. Ask the cook to use unsaturated fats. Request that more food be poached, grilled or baked rather than fried. See if fresh fruit could be brought to the vessel during turnarounds. Take any opportunity on shore to stock up with fresh fruit when you get ashore. Ask your union to take up the matter of on board food with ship operators so that guidelines can be produced – it is in the interests of shipowners to have healthy crews. Drink more water! This alone will keep many of your internal organs healthier.